Today on Love Books Group I have an author spotlight with Ann O’Loughlin. 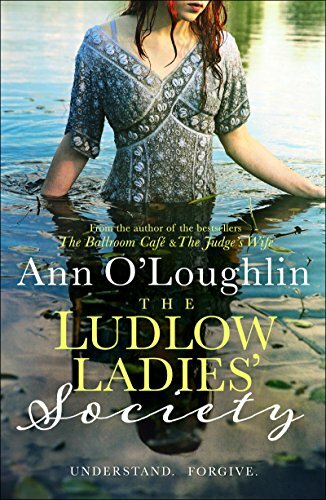 Ann’s novel The Ludlow Ladies’ Society is out now in all formats. Ann has some burning questions for her readers at the end of the interview section. Feel free to answer these in the comments. American Connie Carter has lost everybody and everything dear to her. She moves to Ludlow Hall, Wicklow, Ireland to nurse her grieving heart and find answers. There, she meets Eve and Hetty and is introduced to The Ludlow Ladies Society. Can her hurt be healed? Can she ever understand or forgive? As the women stitch patchwork memory quilts to remember those they have lost, the secrets of the past emerge. With the Ludlow Ladies Society behind her, Connie has to face those secrets and the memories sweet and sour, but can she let go of the past? A story of friendship, resilience and compassion, and of how women hold each other up through the most difficult times, this is a tale which will have you crying one minute and laughing the next. I go back to Jennifer Johnston again and again.Each time I learn something new, each time I take something new from her work. That was easy. I dedicate all my books to my husband John and our two children Anyone who lives with a writer deserves a medal and this is my one way of saying a big thank you. My husband John has been wonderful as I struggled on this writing journey, he is the one who kept me on the path to publication. When things get tough, he is the rock and he makes a great cup of tea! He is always very good at knowing when to provide that extra support, as are my children. Sandwiches magically appear by my desk and tea and coffee are presented without I even asking! I do a lot of writing first around the idea and then the tough part starts the research. For The Ludlow Ladies’ Society, there were a lot of new areas to learn about and that can be so satisfying. My research involves a lot of reading. I think you read into a subject and read widely and all that goes into the brain and hopefully when you write, it comes out at the right time! 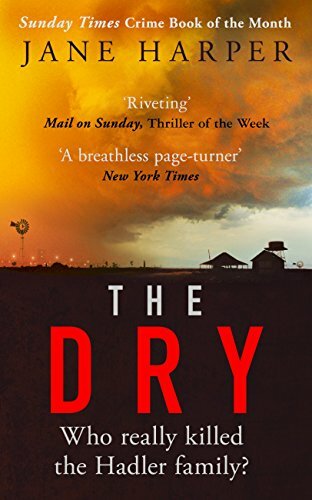 I read The Dry by Jane Harper over Christmas. I was saving it up until then because it had got such good reviews. I was not disappointed. Set in a parched Australian Outback farming community, this region has not seen a drop of rain for two whole years. So descriptive is the writing, I sometimes felt that baked earth only the Aussie heat can create. There are twists and turns and it really is one I didn’t want to put down until I reached the end. I would not normally be into mystery crime, but this book really grabbed my imagination. I am not surprised it is going to be made into a movie. It was a complex story, but it was the writing that drew me in. 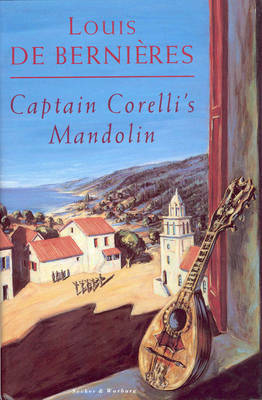 I just love Captain Corelli’s Mandolin by Louis de Bernieres. I am not surprised that the Greek island of Cephallonia had an increase in tourism after its publication and the movie release. It is such a wonderful love story. Set in the early days of World War 2 – a beautiful local woman whose fisherman boyfriend departs to fight with the Greek army falls in love with Captain Antonio Corelli in command of the Italian garrison occupying the Greek island.The movie did not do the book justice. I loved, in particular, the historical detail; this a book that made me laugh and cry. I think a new collection of short stories by the late William Trevor is to be published and that would definitely be on the list. He is one of Ireland’s greatest writers and like Jennifer Johnston I return to Trevor again and again. 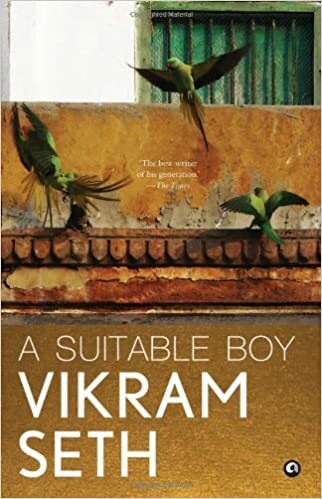 A Suitable Boy by Vikram Seth. It is a big fat book, almost too heavy to hold. I lived in India for a year once and this book brings me to the heart of the Indian family. Widow Raphael Mehra wants to find her headstrong daughter a good Hindu boy to marry. He also has to be from the right caste. The year is 1950, after Partition and so the story begins. You are swept along and this is a wonderful examination of India society. It is a saga like no other. It is like India itself full of colour and characters. When I finished writing my first book The Ballroom Café, I thought it would take some time, but I never knew it would take such a long time to publication. My first battle was to find the right agent for my work. I was nearly at the last throw of the dice when I decided to get a submission ready and send it to Jenny Brown of Jenny Brown Associates, Edinburgh, Scotland. What I had not noticed until I had the email submission ready to send was Jenny Brown’s list was closed to submissions. I wavered, unsure what to do, but decided what had I to lose. Thankfully for me, I had a whole lot to gain. Jenny Brown was returning to Edinburgh by train from a crime festival. Her laptop had not charged the night before and she was stuck with only her phone for company. Scanning through her emails, in popped mine. With time on her hands, Jenny began to read the first three chapters of The Ballroom cafe. It was not long after that she rang me requesting the full manuscript. Straight away I sent over the completed manuscript. Jenny was back within a day suggesting changes and edits. I dived into those edits and with that came the offer of representation. It was the start of a great author-agent relationship and a friendship which now sees us celebrating my third book, The Ludlow Ladies’ Society makes its way out into the world. I love this photograph taken in my favourite place. It is at Kilmacurragh Gardens, in Co Wicklow, Ireland. We often go here and I particularly love it in Spring and early summer. When the Rhododendron leaves are scattered making the paths pink and red, it is one of the most beautiful places on earth. It is also so peaceful. When the writing is difficult, I come and sit on this bench. I never leave Kilmacurragh without feeling renewed and ready to write again. This bench allows me time ‘to stop and stare ’ It is no surprise in all my books, these gardens appear in one way or another and often a place to sit too. I see The Ludlow Ladies’ Society as a celebration of the great friendship that can bloom between women even in the most unusual circumstances. It is what happens Connie Carter, an American dance teacher who has lost everything and everybody she held dear. She has suffered unspeakable loss and comes to Ireland looking for answers. She comes to Ludlow Hall, Wicklow to the house she never even knew existed until her husband died. She is alone and wants to be alone, but she meets Eve, the former owner of Ludlow Hall until the house was repossessed and purchased by Connie’s husband and Hetty a widow, as well as other members of The Ludlow Ladies’ Society. Slowly the friendship between Connie, Eve and Hetty develops.Tentative steps are taken and Connie, hurting deeply allows the other women into her life. She accepts the hands of friendship and in the process, it helps ease her own pain. When Eve and Hetty along with the other women of The Ludlow Ladies’ Society begin to stitch memory quilts to remember those they have lost, the secrets of the past tumble out. Together the women face the hard facts of past events, confront their memories and gain strength from their bonds of friendship. This is a book about the resilience of women and how they support each other through the hard times. I don’t want anybody thinking is a sad book though, there are quite funny moments too, when the Ludlow ladies sit down and gossip over the patchwork. I would love to ask readers what makes you want to read a book? What keeps your turning the page? What book keeps you up at night and rushing home from work to get to the next chapter? When did you last miss your stop on the train or bus because you were so caught up in the story? It is the greatest pleasure when one of my novels, be it the story or the writing touches the reader so much, they cherish the experience. Many thanks to Ann for such a beautiful interview. I really enjoyed reading your answers. You can purchase your copy direct from Black and White Publishing. Ladies, this link is faulty. What a lovely interview. Great desert island choices – Captain Corelli is just brilliant. In answer to Ann’s question, what keeps me reading is caring about the characters, or at least caring what happens to them. Being emotionally invested in some way. A great interview. I loved this book so much 📚💕. What keeps me turning pages of a book? 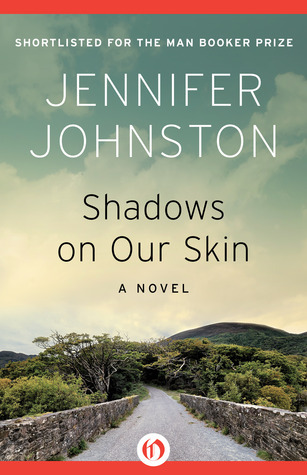 Since I loved “Shadows on our skin”, this leads me to believe that I should read this book as well. Great post.